SANFL’s top official donates winnings back to club! Well-played John Olsen – Most Honourable indeed! Central District’s Split 50-50 winner turned out to be none other than the President of the SANFL and Chairman of the SA Football Commission. This was only the first half of the story; the second 50% involved him donating all his winnings to the CDFC. Congratulations, Mr Olsen and no doubt the Bulldogs are very grateful for your generosity. 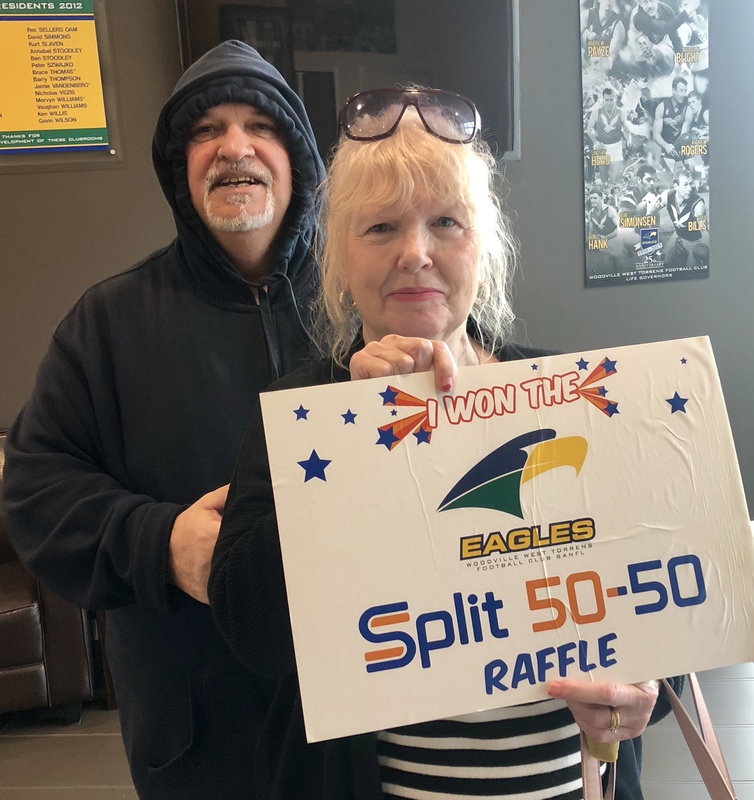 Cove Football Club’s Split 50-50 winner was a casual observer, Robert Scott whose purchase resulted in him enjoying $737.50. Cove’s efforts were outstanding with players, supporters and administrators getting right behind the raffle to see the pool reach $1477. George Jaensch happily shared the pool with the Flagstaff Hill FC when they played Christies Beach at home. 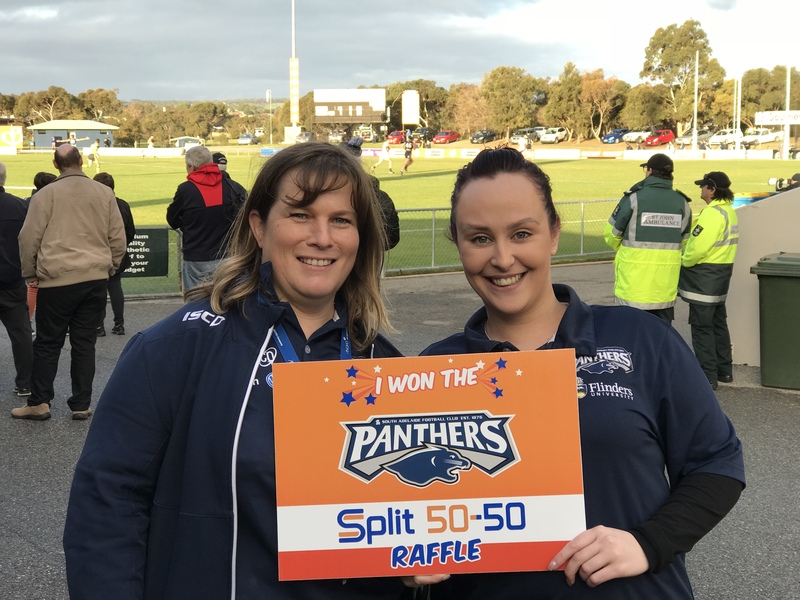 South Adelaide supporter Kirsty Appelby enjoyed her day out at Hickinbotham Oval taking home $628 when the Panthers had a big day out against Adelaide, both on and off the paddock. 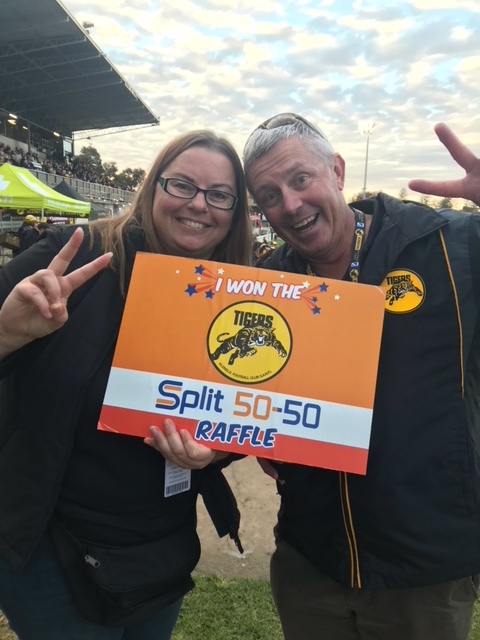 Other winners over the weekend were the Woodville West Torrens, Glenelg and West Adelaide Football Clubs whose 50% split of the pool amounted to exactly $2000 between them. 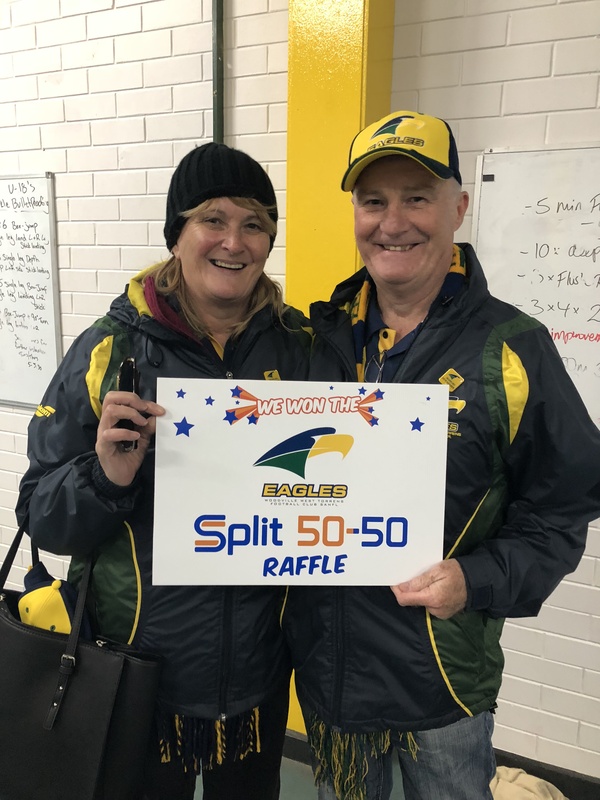 Obviously, the individual raffle winners, Raymond & Christine McMahon, Andrew Grant and Michelle McPherson were fairly excited to see their support for local footy turn into cash in the pocket too.